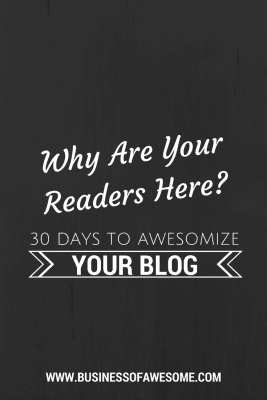 30 Days to Awesomize Your Blog - Why Are Your Readers Here? Over and over in my head, I’ve been thinking about this series. 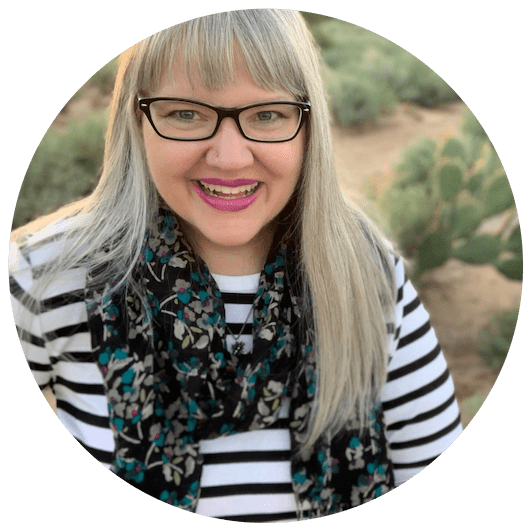 As creatives, sometimes we struggle with getting our blogs all nice and blinged out for our readers, in a way that represents our brand as well. You’re probably swell at what you do – but blogging about it just may not be your thing. That’s cool. That is where I come in. I’ve had a blog for over 14 years now. I know! 14 years! Isn’t that CRAZY? So I know a thing or two about what blog readers are looking for when they visit your site. Some of them you may already be doing, but maybe not all – so be sure to subscribe to the email list so that you can get all of these delivered to your inbox in nice bite-sized pieces and you can AWESOMIZE your blog right along with me! Want to follow along on Social Media? The hashtag is #31DAB and I’ll be sharing them on Twitter, Facebook, Pinterest & Instagram! Ok, enough of this rambling … lets dive right in! Why Are Your Readers Here on Your Blog? I know you have superpowers. Something that makes you special, something truly unique about you. But when a new visitor arrives at your website, how long does it take them to figure it out? Do they have to hunt high and low, or is it super obvious? Do they have any idea who you ARE? Your Tagline – Can you tell me in just one sentence what you’re about? An Elevator Pitch? Something that passes the head-bob test, where I nod my head up and down? “Yes, yes! I get it! I want to know MORE!” If not, add your tagline to your blog. Somewhere really visible too! Your Name – If your business isn’t your name, put your name somewhere easy to locate. I want to connect with you, but to do that? I need to know your name! A Bio Blurb – Add your photo and a little bit about you to your sidebar on your blog. (Right there with your name.) Let me get to know you and see you. We’re meeting for the first time, I want to put a name with your face. Again, this reassures me that I’m in the right place when I’m reading your website. If I’m in the wrong place? It might just be enough to make me want to stick around for awhile. Your blog may not have a sidebar, and that is ok. If it doesn’t, make sure the about page link is super easy to find. We’ll get on to updating that page soon, don’t worry! Have Day 1 complete? Post your link in the comments below so we can all come and check it out! Before you go, be sure to sign up for the email list so that you will get the rest of this series via email! Just so you don’t feel alone, I’ll be following along and doing these things on my photography blog and my Travel blog as well! Knowing that I needed to clean up my own act was the inspiration for this series, in fact! Jessica Del Vecchio liked this on Facebook. I am very interested in learning more about your 30 days to awesomize your blog series. Ashley Schneider liked this on Facebook. I love you so much. I’ll post my link when I get caught up. Ok, I am in! Thanks. I’m very new on this of bloggin and I don’t have any idea of what I’m doing, ahah!, thank you so much for sharing this, I’ll keep my eye on this, my website it’s http://www.yogipeach.com if you want to check out. O.k. it took me a while but I’ve decided to follow up each time on this series. Or at least I’ll try. So excited to learn more about having a fab blog! I started with WordPress but then I deleted it and integrated my blog with my squarespace site. Now that I did that I am hearing that WordPress is the best platform for blogging and for SEO ranking. I didn’t realize it at the time I deleted it. So I love to write, I just never make time for it and I get stuck sometimes so I haven’t blogged in a long time. I want to rebuild my blog site and make it awesome! Do you think that WordPress is the way for me to go? I wonder if there’s a way to transfer my previous blog stuff from squarespace into a WordPress site? Also any ideas where I can find *rad* WordPress templates to use? thanks!! Alrighty then – step one is done! 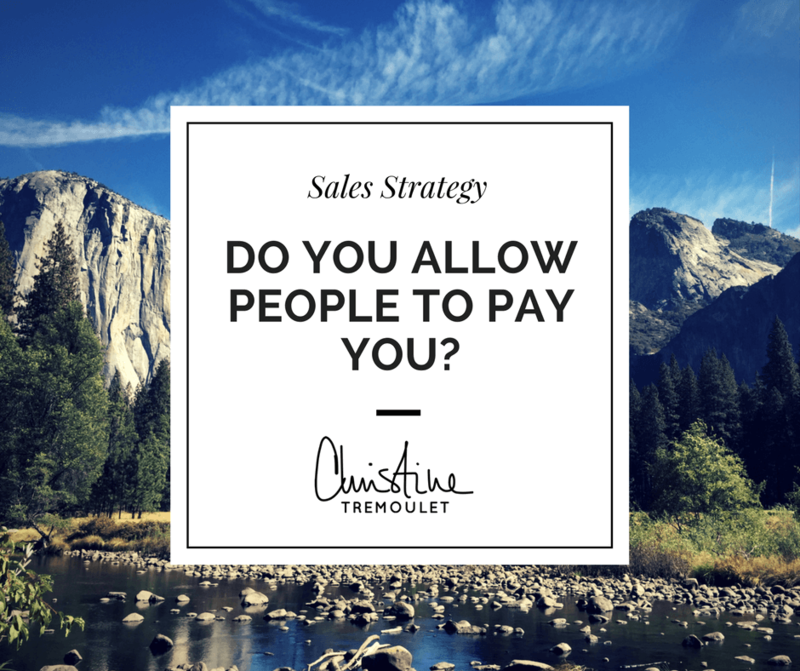 Not sure about my tag line…love to hear thoughts! Here’s mine! Can you guys check it out and let me know what you think?? ready for some serious awesomeization! Thank you Christine. I’m looking forward to your 30 blogging tips. Trying to catch up! Thank YOU for this! Its helping me keep the focus! I am SO late to the party but hope I’m not among strangers when I say that! Anyway, I think I’m doing ok on today’s challenge… except for having a tag line EEEEK – more deliberation. I shall probably decide on that in about a year! Looking forward to the rest of the challenge – thanks Christine!